In 2018 mobile commerce sales in the U.S. reached a record $208 billion, representing over 39% of all ecommerce sales. This year, that figure is expected to grow to over $270 billion. As consumers continue to rely increasingly on their smartphones for online shopping needs, it’s no surprise that schools are looking for ways to replicate this same experience for their parents. Mobile shopping is fast, easy, and convenient—something parents have come to expect nowadays. Millennials are also driving the trend toward mobile shopping and mobile payments. Of the roughly 80 million millennials born in the U.S. (between 1981 and 1997), 40% are now parents. Having grown up with the internet, in an era of great technological change, these parents are 2.5x more likely to adopt new technology when compared to other generations. As busy moms and dads, millennials are always seeking ways to simplify their lives with the aid of technology. Naturally, mobile apps and services can help play a role in this. There's a lot of priorities that parents are juggling everyday. Busy morning routines and evening activities can quickly fill up a family's schedule. It can be all to easy to forget to send a check for before & aftercare or send in cash for a field trip. With the MySchoolBucks app, parents have the convenience to be able to pay for those school fees from wherever in just a few seconds. 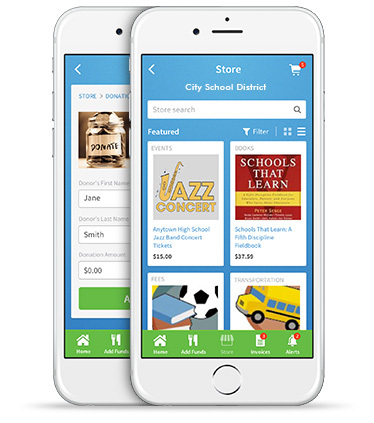 With mobile shopping growing, schools have a unique opportunity to offer the same experience for their parents. If you’re not already partnering with a payments vendor today, start the conversation and find out how they might be able to help.